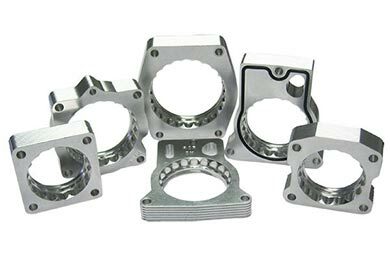 aFe 46-33017 - aFe Silver Bullet Throttle Body Spacers - FREE SHIPPING! Put this on my F150 Ecoboost. 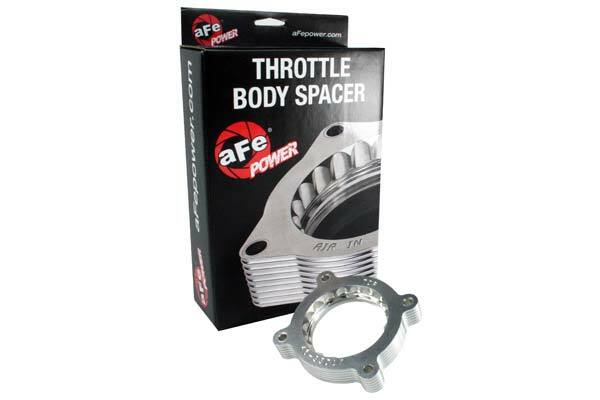 Kind of difficult to put on without disconnecting the hose going into the throttle body because it blocks the nuts. Aside from that a pretty simple upgrade especially if you combine it with the AFE intake. I'm loving the combo of this and the Magnum Force intake. Noticeable power increase and fuel economy is better. Seems a little overpriced for no more than it truly does but compared to a lot of performance upgrades, not too bad. Reference # 767-612-649 © 2000-2019 AutoAnything, Inc.